Does Detox Treat Drug and Alcohol Dependence? Drug and alcohol dependence can take different forms in terms of severity and the impact it has in a person’s life. Over time, the effects of drugs and alcohol take a toll on the body and alter the way the mind works. Whether or not detox can treat drug and alcohol dependence depends on the type of substance abused and the duration of drug/alcohol use. In cases of chronic, long-term drug and alcohol dependence, detox treatment is only the first step in the recovery process. Addictive substances all have one thing in common: their ability to interfere with brain chemical processes. According to the National Institute on Drug Abuse, drug and alcohol dependence develops out of the effects these substances have on the brain’s chemical system. Addictive substances also tend to have similar chemical make-ups as the brain’s own chemicals, which makes it all the more easy for these substances to take over primary brain processes. When ingested, drugs and alcohol interact with specific brain cell receptor sites. In effect, these substances activate neurotransmitter production at these sites. With each drug dose, cell receptor sites have to work harder than usual to produce large chemical amounts. Over time, these effects wear down cell structures making them unable to function normally. With continued drug use, cell functions come to rely on drug effects to produce needed neurotransmitter supplies. These conditions mark the beginning stages of drug and alcohol dependence. By the time a person enters detox treatment, the brain has likely undergone considerable structural damage. The effects of drug and alcohol dependence on the brain soon spread throughout the body as brain functions start to deteriorate from continued drug use. Any effects had on the brain transfer directly to the body’s central nervous system, which regulates most every major bodily system. Perhaps the most obvious sign of drug and alcohol dependence takes the form of withdrawal effects. Once the brain becomes dependent on drugs, widespread brain chemical imbalances have taken shape. These imbalances result from the frequent spikes in neurotransmitter levels brought on by repeated drug use. 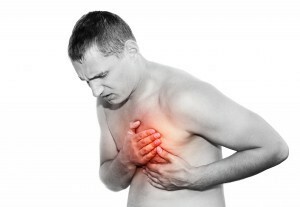 Drug and alcohol dependence can have a negative impact on heart function. Withdrawal effects start to take shape as chemical imbalances impair the brain’s ability to regulate the body’s processes. In effect, the severity of withdrawal effects a person experiences reflects the degree of damage caused by drug and alcohol dependence. While most people who enter detox treatment have developed some degree of addiction, detox treatment has more to do with physical effects of drug and alcohol dependence than the psychological aspects of addiction. Nonetheless, detox treatment is a mandatory first step towards overcoming an addiction problem. Drugs and alcohol warp this area of the brain much like it does the rest of the body. In essence, a person’s belief systems, motivations and priorities all center on getting and using drugs. Some forms of detox withdrawal bring on severe symptoms, some of which can be life threatening. Detox treatment takes place within a highly structured treatment environment where patients are monitored around the clock. As detox withdrawal stages can run anywhere from two weeks to a month, the interventions offered by these programs help a person make it through the detox stage, which can be difficult in cases of chronic or long-term drug use. Behavioral treatment entails helping addicts address the underlying issues that drive drug-using behaviors. These interventions address the psychological dependency that forms when drug and alcohol dependence turns into full-blown addiction. Considering the physical discomfort that predominates throughout the detox stage, detox treatment programs can only but introduce behavioral treatment principles at this early stage of the recovery process. The psychological aftereffects of drug and alcohol dependence can persist for months or years, so detox treatment only marks the start of the recovery process. For this reason, detox programs draw up an aftercare treatment plan that lists the types of treatment a person will need to continue on in recovery. Many people make the mistake in thinking detox treatment cures drug and alcohol dependence, when it doesn’t. Detox treatment only addresses the physical aspects of dependence, which is only half the problem. It’s the psychological aftereffects of addiction that drive a person to relapse, not the physical dependency. The longer a person engages in alcohol and drug abuse the longer the recovery process will take. In cases of chronic, long-term addictions, it’s not uncommon for addicts to go in and out of drug treatment multiple times before long-term abstinence fro drugs can be achieved. In effect, drug and alcohol dependence has a cumulative effect on the mind and body, which accounts for why people with long histories of substance abuse have such a hard time in recovery. Once the effects of drugs and alcohol dependence turn into addiction, most of the drug treatment process entails undoing the mind’s psychological dependency on drugs.